Every time when Apple release the newest Mac OS, most Mac users are willing to upgrade their Mac system. If you are one of them, and after you upgraded to the latest version, then you found that you can not get used to it, you downgrade it. So that you may meet the problem that you lost the data in Mac, this time you need a helpful and reliable data recovery tools for Mac which supports various Mac OS X including the latest macOS Sierra 10.12 to recover all your precious files. To save your time, we will list the top 5 macOS Sierra data recovery tools for you. 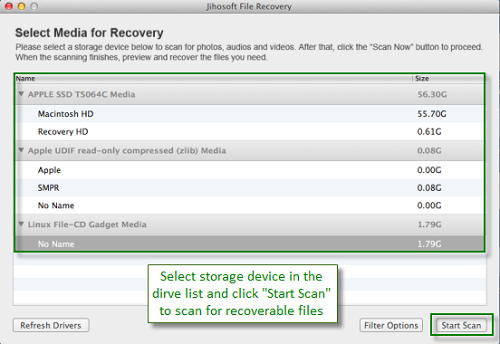 Jihosoft File Recovery for Mac is able to recover all types of deleted files on Mac, including image, video, music and any other document files. 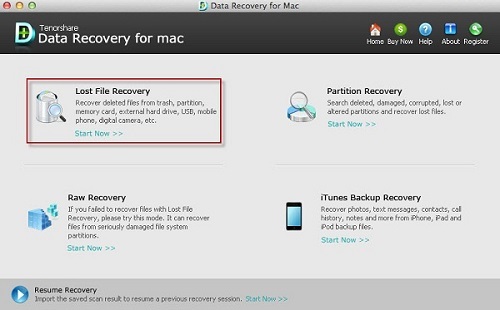 By using this powerful Data Recovery Mac software, you can restore files from Mac Hard Drive, external hard drive, USB drive, memory card, SD card, CF card, XD Picture Card, digital cameras, and more. In addition, you can have a preview of scanned files before recovery. Pros: Easy to use even for beginners, fast scanning, can recover data from almost any kind of devices and is made free for the users. Cons: There are no log files in the recovery process. With iStonsoft Data Recovery for Mac, you can recover lost photos, videos, documents, email and archive files from Mac hard drives or external disks safely and wholly, no matter if they are being deleted, formatted or just inaccessible. 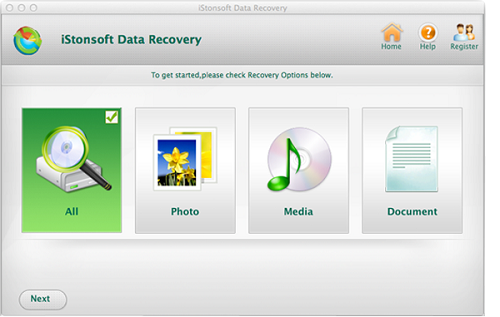 * Recover all types of data from Mac-based hard drive or external hard drive. * Preview data in advance before you start your data recovery. * Read-only, risk-free and cost-effective Mac data recovery software. Its Preview function could be limited for some file types and more functions are only enabled with the purchased version. 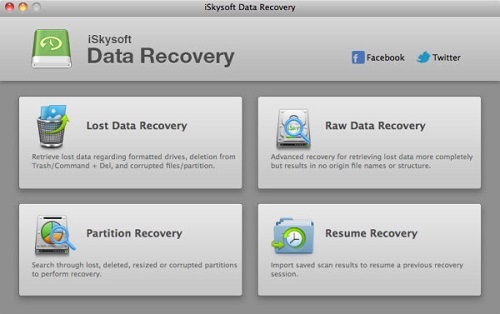 iSkysoft Data Recovery for Mac is reliable in performing data recovery. Whatever the cause of data loss; deletion, virus attack, software and hardware issues, this program is able to recover almost any type of files with its deep scan function. Supports various Mac OS X such as the Mac OS X 10.12 (Sierra), 10. 11 (El Capitan), 10.10 (Yosemite), 10.9 (Mavericks), 10.8 (Mountain Lion), 10.7, 10.6 and 10.5; this data recovery program works effortlessly; delivering superior ease of use to its users. Pros: 4 recovery methods that allow users to choose a method flexibly, availability of preview function before recovery process, recover lost data with original quality, perform scanning in a fast speed and without damaging any files or data. Cons: Encrypted iTunes backup files are not supported. 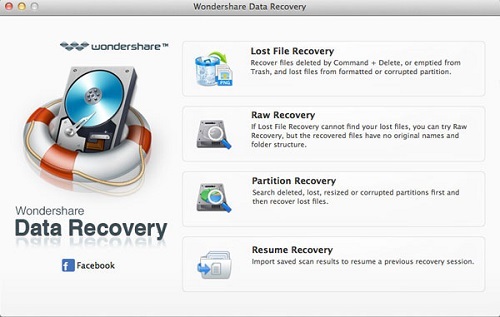 A great software that can do more than just recovering data; Wondershare Data Recovery for Mac can work on all Mac OS X inclusive of the macos Sierra, Mac OS X 10.12 El Capitan. Able to retrieve any files from a Mac- based drives and devices, its powerful algorithms enable it to recover files, raw files, deleted Mac volumes and data from NTFS Partitions within a short period of time. What makes it more attractive is that users are able to test the software first with a free trial prior to making any purchases. Ability to recover almost any file type due to improper operations, formatting, virus attack and the lot. Like any other great performing data recovery software, Tenorshare Any Data Recovery for Mac will enable its users with the ability to retrieve their lost data due to accidental deletion, formatting and other reasons. Supporting Mac OS X 10.12, 10.11, 10.10, 10.9 and below; customers are able to recover their media files, emails and other documents in just a few clicks. In addition to that, it can also work with any devices that are connected to the computer that it is installed in. The software is user friendly and intuitive; it guides through the users along the recovery process with tips, advices and instructions. Easy to use even for beginners, fast scanning, can recover data from almost any kind of devices and is made free for the users. No log files are created for the data recovery process. The application comes with a price tag. Different people have different needs and different approaches to fulfill them. All the above data recovery tools for Mac are efficient in their own way and as an individual, you may find a perfect software from the list to best fit your needs. 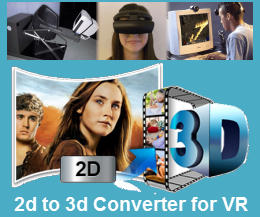 How to edit Sony PXW-X90 .mxf files with Cyberlink PowerDirector perfectly? How to import Sony PMW-F55 MXF files to Sony Vegas Pro for native editing?